The historic water mill was built at the end of the 19th century by the then owner of Bałtów, the prince Aleksander Drucki – Lubecki. This turbine-driven water mill has been continuously in operation since then. Currently, as a “living museum”, it additionally offers young generations the opportunity to see for themselves the process of transforming grain into flour and to realize what skills were required in the profession of the miller. 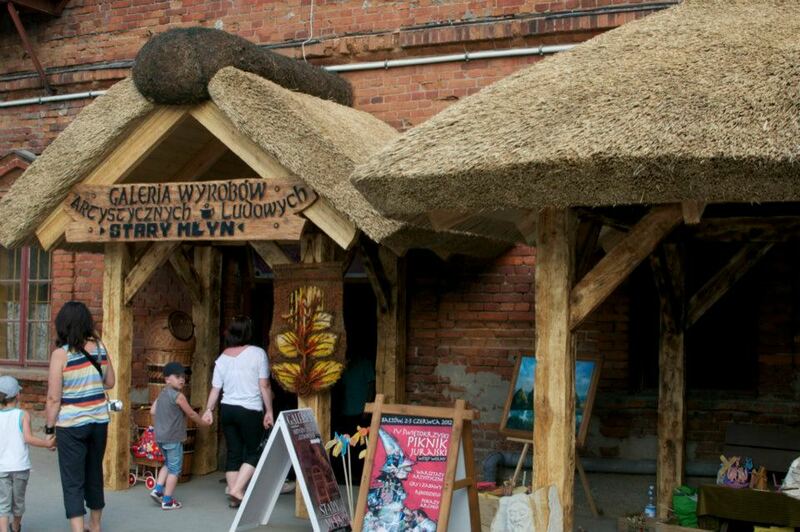 The mill is also a place worth recommending to those with “artistic soul” – it is a space where you can admire stained glass, paintings, sculpture, rugs and other works of art that are the result of the work of artists associated in the “Krzemień” group. The exhibition also includes products less and less common in our country, included in the so-called applied art: folk toys, wickerwork and pottery.